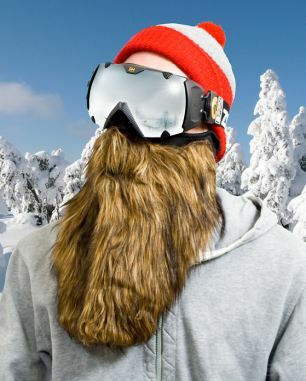 Beardski is the ultimate facial fashion accessory and… is a full on beard. If you’ve always wanted to try out the Grizzly Adams look but don’t have the patience to grow out your designer stubble then the new Beardski should be topping your Christmas list. Part insulating ski mask, part beard, Beardski is designed to keep your face snug while you are on the slopes … or even just coming home from the office Christmas party. Available in vibrant red and orange, or mocha brown and Santa Claus white, for those who favor the au natural look, the yeti-style beards are made from thermal fleece to keep your chin feeling toasty. The range is available on gift site firebox.com and prices start at £24.99 ($38.5). 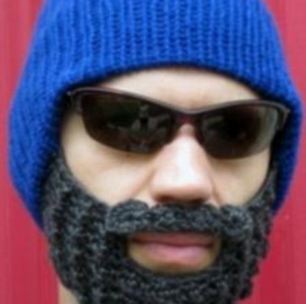 If you’re not a fan of the big bushy beard, you can get a more “designer stubble” effect with the Beard Beanie. Designed by crotchet enthusiast Tara Duff, the cozy collection of hats have the fashionable facial hair already attached, in an array of browns, blacks and reds. A handy hole for your mouth means that you can carry on eating and drinking while on the slopes. Using a simple pattern taught to her by her next door neighbor, the beanies and beards are available online from £30 ($45) (www.beardbeanie.com).